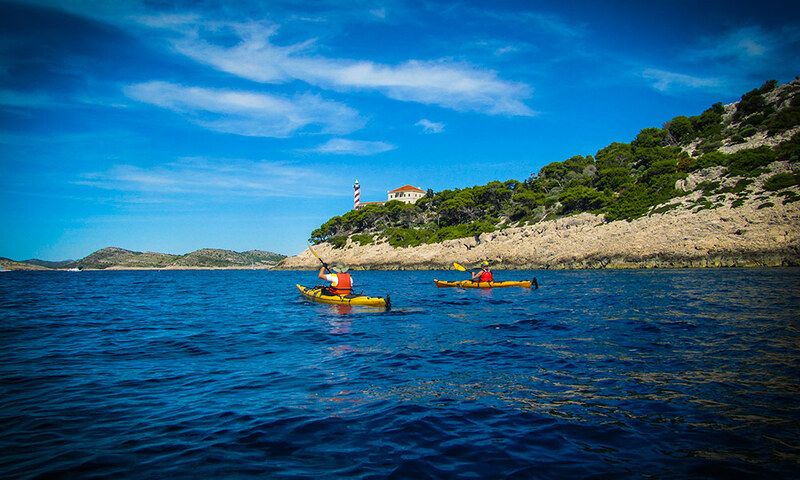 Our Sea Kayak Company is based on the green Island of Rab but our playground is the Adriatic Sea. 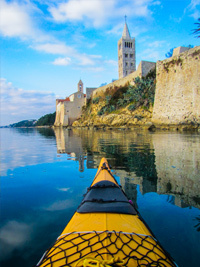 Whether you're an experienced paddler, or brand new to the sport, we have a great variety of trips that could suit you.  Our mission in the world of mass tourism is to help our clients escape from wilderness into the heart of nature. Yes, you read it correctly. We are a small company and we are focused only on sea kayaking, so we do one thing but we do it right. 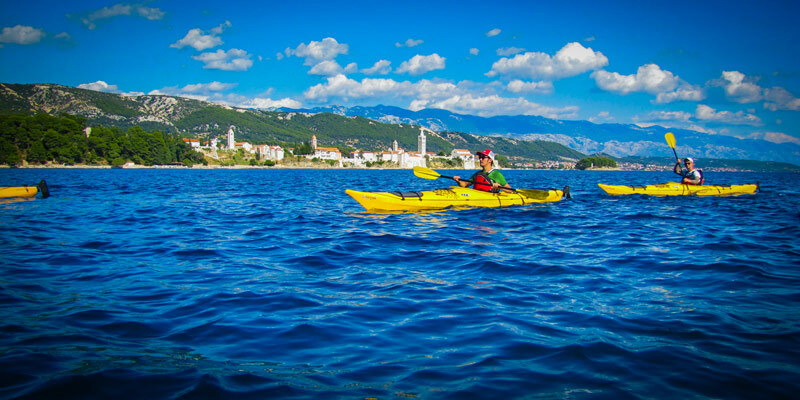 The Adriatic Sea has just been recently discovered among the sea kayakers who are saying that this is the best Mediterranean paddling playground and one of the best in the world. 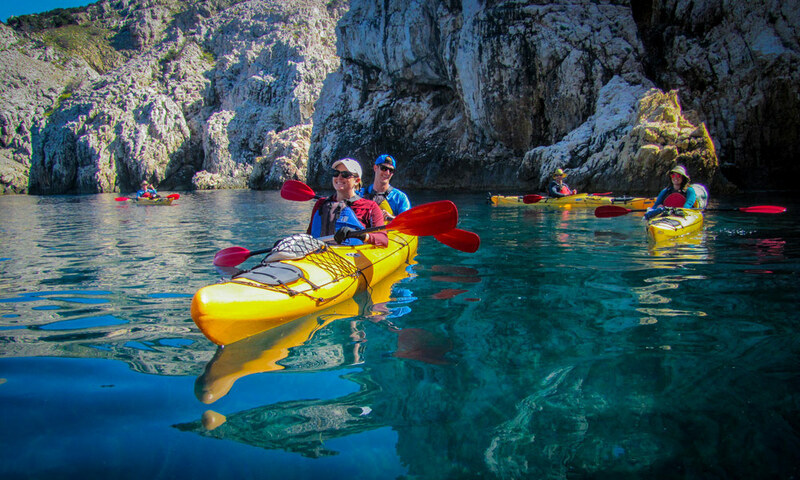 Numerous caves, hundreds of beaches and thousands of coves, high cliffs and long crowns, geological sights, snake shaped rivers, canyons, turquoise bays, old forests, rich flora and fauna, long and interesting history and culture, secret and sacred Velebit Mountain, Islands, reefs and other numerous interesting sights are waiting for you to be discovered. Our favorite multi-day trip. 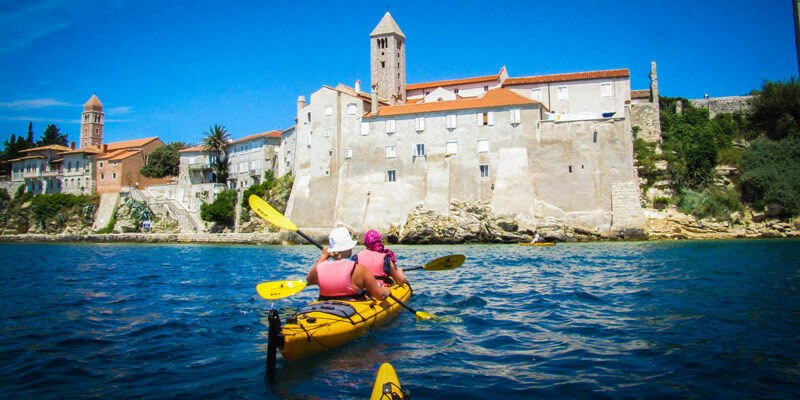 We’ll paddle to six Islands in seven days, exploring rugged but diverse coastline of the Northern Adriatic. 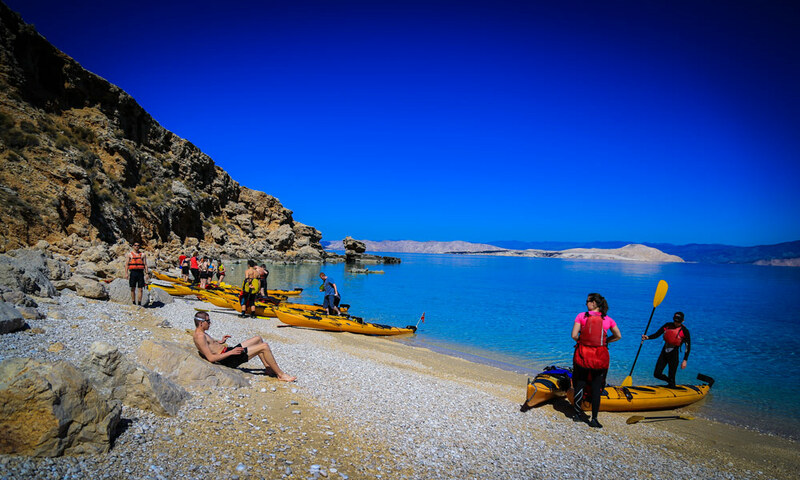 We follow the shoreline of the Rab Island and explore hidden coves, caves and beaches, sleep under the stars in secluded bays, take regular lunch and swim breaks and occasionally go hiking. 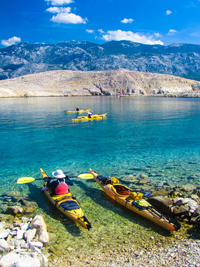 Perfect adventure for those who want to combine kayaking, relaxing and hiking. 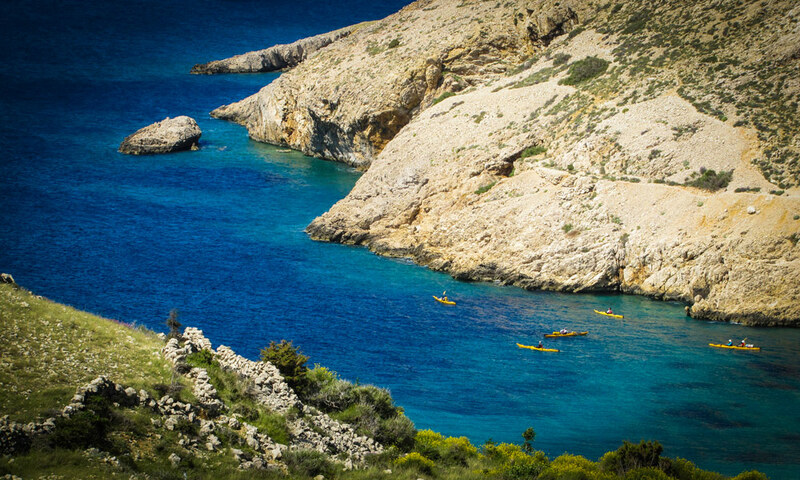 Our base camp is on the Island of Levrnaka, next to a beautiful beach Lojena, from where we explore other islands of the Kornati National Park. Choose to clear your mind. 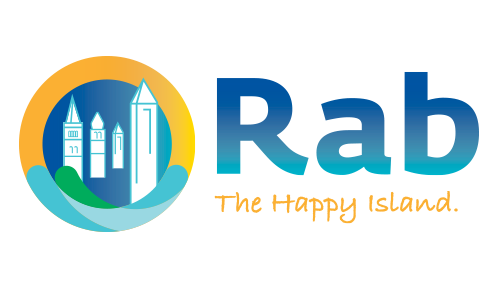 We provide a different perspective of the natural beauties Rab Island has to offer. 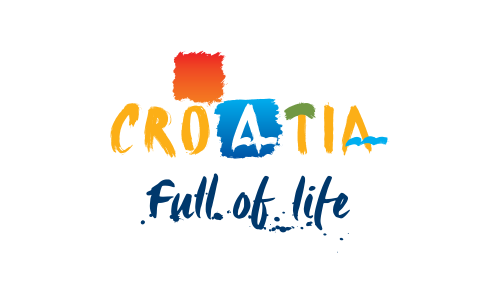 Daily tour which starts on beach Artić (close to Rab Town), follows the Kalifront Peninsula shoreline and ends on the sandy beach Veli Mel in Kampor. 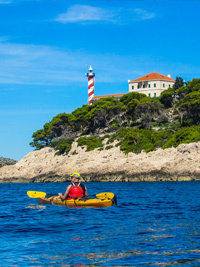 The duration of the tour is 4-6 hours and includes passing under the walls of the old town and following the coastal area of the bay of St. Eufemija.